There is no denying that missing mail or package is frustrating. Whether you’re the recipient or sender, your time and in some cases, money is wasted anyway. USPS handles millions of mail pieces on a daily basis so it would make sense for a letter or package to get lost. But unfortunately, when it’s a critical mail or expensive package, it’s even worse. So you’re still waiting for your USPS lost package or mail, now what? Luckily, there are a few steps you can take to try and recover your mail. However, there is no guarantee that you will retrieve your lost mail or package in the end. Why would mail get lost? 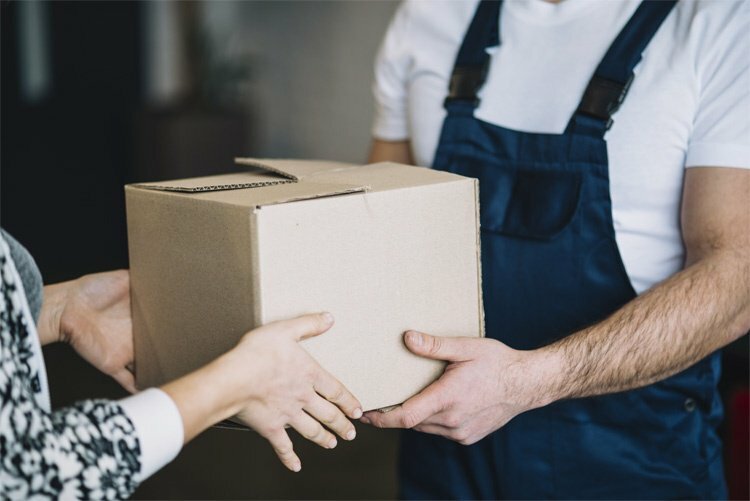 There are many reasons as to why you wouldn’t get mail or packages such as the shipping label falling off, the address or recipient name getting smeared in case of bad weather, or the most common reason of all, an incorrect address. Just one wrong digit in the zip code can make all the difference with mail delivery. Or in another scenario, you move and don’t apply for a change of address so your mail is sent to your old address. You need to be careful when sending out mail to get the address right, write it clearly and in permanent marker. Now that we have an idea of why this might’ve happened let’s see how we can fix it. 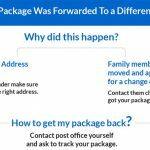 Read more: Your USPS Package Was Forwarded To A Different Address: Now What? If your mail has a tracking option (the sender can give you the tracking number if you’re the recipient), go to USPS Tracking and check on the current status of your mail. It’s possible that it is only delayed, stuck in transit and not necessarily lost. Most online orders are accompanied with tracking numbers so if you’re waiting for a package delivered by USPS, you can use this tool. If you’re using other mail carriers like UPS or FedEx, they also provide tracking services. So first, find out the latest update with your mail. It is possible that the status was “delivered” and you never got anything. In this case, you need to start asking your neighbors if they’ve received any mail or packages for you, it is possible there was a confusion with the apt. or building number. You should also ask your mailman about it; this may even be the first, obvious thing to do. Sometimes, if you’re not home, but you’re expecting a valuable package, your mailman will leave a missed delivery notice instead. 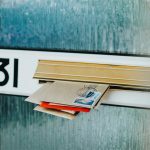 Another answer to a delivered status is mail theft. It is a common problem with mail in the United States and gets even worse during the holidays. So, if you think this is the case, it’s best to immediately report it to your local Post Office and the Police. Now that you’ve confirmed your mail is missing, you need to collect all the information possible on your mail before contacting USPS. For USPS to start a mail search, they need to know everything you know about your package. The package description like the package size, content, brand, pictures of the item, and anything else you can gather. 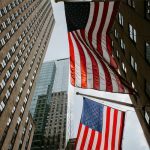 Go to your local Post Office, or you can submit the request online at the USPS Missing Mail Search, it is advised to submit one if you haven’t received your mail within seven business days. USPS will send you an email confirmation when they receive your request and begin their search. How does the USPS Missing Mail Search work? USPS starts their search at the Mail Recovery Center which is headquartered in Atlanta, GA, also known as the mail’s lost & found. This is where all the mail with an “incorrect address” or “return to sender” winds up. However, most of the time, if mail or packages are left unclaimed and have a monetary value of less than $25 it is shredded without opening. USPS holds the mail according to its delivery service and value. For example, priority mail, certified or ordinary mail is kept for up to 3 months. While insured packages or express mail is help for up to 6 months, maybe even longer sometimes. At the end of this period, the valuable packages are put up in auctions. If your package is insured, valuable, priority or registered mail, you can file a claim. 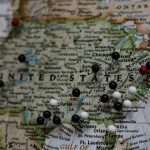 Claims can be filed for domestic and international shipping; however, it shouldn’t be delayed any later than 60 days from the time of mailing. In this case, if the package is not found, you will be reimbursed for it. It is also recommended that the sender and recipient submit a mail search in case your missing USPS package or mail. This way, the priority for finding your mail would be higher. In order to avoid the risk of losing mail again in the future, you can secure your mail & packages by signing up for a virtual mailbox. 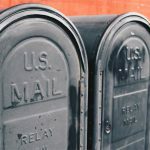 Know What’s the Difference Between Physical PO Box and Virtual PO Box? A virtual mailbox is a convenient, online mailbox. Your mail will be delivered to state-of-the-art mail facilities lessening the risk of mail theft and mail going missing. Experienced mail operators will scan the envelopes of your mail and upload it to your mailbox. 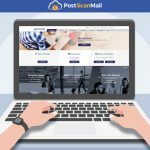 PostScan Mail offers virtual mailboxes with a variety of nationwide addresses. 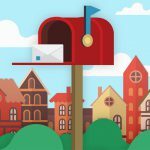 You can choose to have a virtual PO Box or a virtual mailbox with a real street address. Logging into your online mailbox can be done through your phone; you just choose the mail piece and pick an action like open & scan, forward, archive, or shred. You can forward mail to yourself wherever you are, no matter how many times you move. Get your virtual mailbox today and never worry about your mail getting lost, stuck, or misplaced again.